Section 117 – Page 20 – Then you will know the truth, and the truth will set you free. 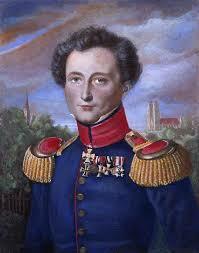 Carl Von Clausewitz was a Prussian Staff Officer during the Napoleonic Wars. After Napoleon was defeated at Waterloo, Clausewitz devoted his spare time to studying the conflict as well as the nature of war itself. Before he died, he had nearly finished a manuscript that would be known as “On War,” and would prove to be the most influential book on warfare in the Western World (Sun Tzu’s “The Art of War” being the quintessential book in the East). A smaller work, “Principles of War”, was written when he was the adjutant of Prince August Ferdinand of Prussia. This is a relatively small, but informative book, on generally strategy and tactics. While it is not as enlightening as “On War,” it is certainly worth a look. After Clausewitz died, his wife dutifully published “On War.” Clausewitz warned in a letter that if he did not finish the work before his death that it would be subject to “endless misinterpretation” and “the target of much half-baked criticism.” These words now seem prophetic given all the confusion and criticism his book has attracted. However, if you read “On War” patiently (as I have twice) and study some of the literature about Clausewitz you will find that most of his ideas are relatively simple to grasp. Given that the book is smartly categorized, and that it was meant for soldiers, not scholars, it is a relatively easy, if long, read. There are dated parts regarding tactics, but these are still interesting, if only to see how warfare was waged during his time. While we can never know for sure what Clausewitz’s final edition would have looked like, there are some near certainties we can grasp. Clausewitz was a big fan of theory for the sake of providing soldiers with a decent background of war, but never to be followed like dogma. He obviously believed that hard earned experience on the battlefield, and natural leadership qualities, would produce a better general than an academic who seldom left his study and could never comprehend the pressures of war. He clearly realized that whereas strategy is eternal, tactics change from one era to the next. This is why, despite being unfinished, his book, which focused mostly on general strategy, is still relevant today, while other books that focus too much on calculations and tactics, like Jomini’s “The Art of War”, are largely obsolete. However, whereas Clausewitz would never say there are rules of warfare, he more or less admits that there are “a whole range of propositions” that “can be demonstrated without difficulty.” These so called propositions are not doctrine, but rather general truths of war, meaning that they will be correct the vast majority of times. This is no surprise given that soldiers tend to be cynical, often with reason, about politicians and their goals. While Generals with a solid grasp of history could easily list off many battles lost by political interference, they usually cannot cite a war that was won without civilian oversight. While it is often the case, that in wars managed by soldiers alone, armies tend to enjoy better tactical success, it is often at the expense of political, economic, diplomatic, and domestic factors that tend to mitigate any gains that are made. Examples from 20th century military history bear this out. Germany’s military dictatorship in the last years of World War I provoked the United States into joining the conflict, and failed to mobilize the nation’s resources any more effectively than the democratic west. During the Algerian war of Independence, where the French Generals had a freehand for most of the conflict, the brutal excesses of the French Army isolated France internationally, and turned the French people against the occupation. And during the Vietnam War, the American generals won battle after battle, but focused too little on Counter-Insurgency Warfare (which all of its experts agree is more political than military) until it was pretty much too late. Perhaps the second most well known quote from “On War” is “The defensive form of warfare is intrinsically stronger than the offensive form.” While this purely military concept would seem more straightforward than the last example, it has been just as misunderstood by generations of soldiers. The excesses tend to run from those who consider it completely wrong (in other words those who think the attack is superior to the defense), and those who take it to the extreme. The most obvious example of the former would be the mass slaughter, during the First World War, where offensive minded generals believed numbers and morale would crush trenches, barbed wires, machine guns, and artillery pieces. And perhaps the best examples for the latter would be the countless nations that fell after investing so much time and resources into expensive defensive works like the Maginot Line that were easily outflanked by enemies with the slightest bit of imagination. Just like the statement on politics, Clausewitz went into detail and explained very carefully the limits of the Defense and Attack, and once again generations of soldiers seem to have only absorbed, or completely ignored, the initial quote on the supposed power of the Defense. Perhaps things would have been much clearer had Clausewitz said, “all else being equal the Defense is superior to the Attack,” instead. This concept is obvious to all but the most obstinate soldiers. It is generally accepted that to succeed in any assault you need a healthy superiority of numbers and equipment, either on the whole, or at least at the decisive point of the attack. It should also be evident that if the attack was superior to the defense, then the weaker side in any conflict would have a better chance at success if it attacked rather than waiting on the defense. However, history confirms that the vast majority of times the weaker side will stay on the defense because of the advantages the defensive form of warfare offers. A clearer concept, and probably the one that most differentiates “On War” from lesser texts on warfare is the “fog of war,” or as Clausewitz termed it, “friction.” Indeed Clausewitz wrote, “friction is the only concept that more or less corresponds to the factors that distinguish real war from war on paper.” To put it simply, friction is the unforeseen accidents, mistakes, and circumstances that “combine to lower the general level of performance” of military operations. Clausewitz cites the weather as an example, writing that fog can conceal the enemy, and that mud will delay the moment of forces. Other examples could include the breakdown of communications, random accidents, or inaccurate maps issued by headquarters. There are simply too many elements of friction to develop a theory to combat them all. Clausewitz suggests that the only effective means of limiting friction is sound leadership backed by actual combat experience. While this offers little hope to soldiers who have yet to go to war, Clausewitz, practical as always, does offer a few makeshift solutions. Though he scoffs that peacetime training is a poor substitute for experience, he suggests that army manoeuvres interwoven with known elements of friction can he helpful. In the cases were there are few officers in the army with battlefield experience he suggests enlisting officers from foreign armies, or even sending officers to serve with armies actually engaged in warfare. Clausewitz assures us that these officers can have an impact well beyond their small numbers. A chilling example would be the lessons learned by the Condor Legion in the Spanish Civil War that the German Army put into practice during World War 2. Another novel Clausewitzian concept involves the distinctions between limited and unlimited warfare. The main difference being that unlimited war, or as Clausewitz calls it, war to “render the enemy helpless,” is a life and death struggle between nations, whereas limited war is fought for distinct political goals. Limited war is seen as more political, since the policymakers tend to micromanage much of the conflict to prevent escalation, limit casualties, and are ready to abandon their goals if the price of achieving them is deemed too high. Unlimited war is less political as policy makers are usually willing to take the gloves off and allow the generals to use all means necessary to win. Examples of limited wars would be the Korean War, Vietnam, and the First Gulf War, while examples of unlimited war would include both World Wars, and the Second Punic War. It should be noted that wars that start as limited can become unlimited in certain cases. The war of the Triple Alliance in South America, the Six Day War, and even the Second World War are examples of this. In all these cases one country attacked another under the false assumption that other nations would not intervene in the war. Unlimited war should not be confused with Clausewitz’s theory of absolute war. This is a theory of indiscriminate violence and effort used to crush the enemy. However Clausewitz dismisses absolute war as impossible because the political and moral considerations, as well as friction, will always restrain the supposed ideal level of violence absolute war advocates. This is not hard to understand if one considers that even the most violent, and immoral regimes, throughout history, have shown restraint in applying violence. For example, Hitler only allowed the bombing of British cities after the British bombed Berlin several times, and Stalin decided not to conquer Finland in early 1940 after a short but brutal war. Needless to say both of these actions were not moral considerations, but political ones: Hitler hoped the English would sue for peace and was trying not to provoke them, and Stalin was worried about possible French and British intervention in the event he tried to annex Finland. The ideas of unlimited and absolute war lead to Clausewitz’s view that the most effective way of overthrowing the enemy is the destruction of his armed forces. This is what he meant by “the wish to annihilate the enemy’s forces, is the first-born son of war.” This seems obvious after Clausewitz gives examples of the different means of defeating the enemy including conquering territory and attrition. While occupying land is usually not decisive while the enemy’s army is still intact, and attrition is seen as a prolonged exercise in slaughter, an all-out effort to destroy the enemy’s armed forces usually promises a quick result. However, it is also the most risky and bloody, at least in the short term, route to victory. It is no coincidence that the lesser means are used more often in limited war, and the more aggressive ones in unlimited war. “Next to victory,” as Clausewitz writes in “Principles of War,” “the act of pursuit is most important in war.” This is where the trophies of the battle, prisoners and guns, are taken en mass. This is because during most battles casualty rates are relatively even as long as both sides are committed to winning. However, once the battle has been decided the loser begins to retreat and his forces lose discipline and cohesion and become easy targets if the winner can organize an effective pursuit. The extent to which the winner manages his pursuit will determine the ultimate success of any battle. If he allows the enemy no rest, as Napoleon did to the Prussians after Jena and Auerstedt, he may be able to crush all further resistance. However if he pursues his enemy cautiously, as Marshal Daun did against Frederick Great, the enemy will probably recover. Another concept concerns the concentration of force. Clausewitz clearly explains this term by writing that “The best strategy is always to be very strong; first in general, and then at the decisive point,” and “there is no higher and simpler law of strategy than that of keeping one’s forces concentrated.” He then goes on to state that it is foolish to detach forces from the main body if it serves no vital purpose. The simplest way to describe the importance of the concentration of force is that bigger forces will usually defeat smaller ones. One way of looking at his statement about being strong at the decisive point is that even if an army cannot match its enemy’s numbers on a whole, it can try to gain superiority at a certain location and defeat its enemy piecemeal. Many of Rommel’s battles in North Africa against the British illustrate this perfectly. Even though he was outnumbered in tanks, the British tended to divide their armour among several forces while Rommel kept his concentrated and destroyed them one by one. Economy of force is a complementary concept to the concentration of force. Whereas the concentration of force merely implies that the majority of one’s forces are centralized, economy of force dictates that all forces possible are used to engage, or at least distract the enemy. Clausewitz merely remarked that one should remember “always to make sure that all forces are involved – always to ensure that no part of the whole force is idle.” While many people would assume that a concentrated force would use all its might to fight the enemy, this cannot be taken for granted. Certainly an overly cautious army might only fight back with the forces that are directly engaged, or may hold back reserves for too long. Even attacking armies may not use all their forces effectively; during the Battle of Cannae the Romans may have outnumbered Hannibal, but their ranks were so deep that most of its army was isolated from actual fighting until the Carthaginians had enveloped their army and it was too late. One term Clausewitz seems to borrow from physics is Centre of Gravity. He uses this term to describe the enemy’s source of strength, implying that neutralizing it is the quickest way to victory. While many things can constitute a nation’s centre of gravity, it is often seen as either the armed forces, the capital of the country, an economical or industrial heartland, or in the case of a small country, the armed forces of its allied protector. Although it would seem obvious that the defeat of the enemy’s armed forces would probably lead to the occupation of the other potential centres, this cannot be taken for granted. Firstly, it is important to note that the defeat of the enemy’s armed forces may prove to be initially too difficult, thus opening up the possibility of attacking other targets. Secondly, even if victorious an army may be so damaged or disorganized by combat operations that it may prove, at least initially, beyond one’s capabilities to occupy these potential centres. This is especially true in the case of large countries like Russia. One need only look at Napoleon’s pyrrhic victory at Borodino. He may have defeated the Russian army, and occupied Moscow, but his army was rendered too weak to seriously threaten Russia. Thirdly, the potential of outside intervention in the conflict may limit the effects of defeating the enemy’s army. Prussia may have been more or less defeated in 1806, but the intervention of the Russian army forced Napoleon to fight an extra year to complete the occupation of the country. Often the seizure of the capital, especially in a country with a weak government, will be enough to force the enemy to sue for peace. Likewise, the occupation of a country’s industrial heartland can produce the same effect. It is hard to see a country like Germany make war with the Rhur region under foreign occupation. Maintenance of the objective is a logical complement to the centre of gravity. In the last chapter of “On War” where Clausewitz writes about creating a plan to completely defeat the enemy he begins by saying that “the first principle is that the ultimate substance of enemy strength must be traced back to the fewest possible sources, and ideally to one alone.” This is referring to identifying, and then targeting, the enemy’s centre of gravity. He continues by saying that “the second principle is: act with the utmost speed. No halt or detour must be permitted without good cause.” This is a reference to maintenance of the objective. The simplest way to describe maintenance of the objective is momentum combined with consistency. In other words, once an objective of the campaign has been agreed upon (ideally neutralizing the enemy’s centre of gravity, or at least improving the general strategic situation) any distractions, or temptations, that arise during the campaign to change the objective must be ignored. This may seem to be a contradiction of Moltke the Elder’s universally accepted maxim that “a plan never survives contact with the enemy.” However, this is not necessarily true. First off, the theory of maintenance of the objective assumes, perhaps naively, that the objective of the campaign is achievable. In the case of a campaign where the planners have chosen an objective that is totally unrealistic then no doubt they will fail in their attempt to accomplish it, and must either end the campaign, or try to switch the emphasis to something more attainable. Secondly, Moltke’s maxim relates more to the field of tactics, where flexible planning and adaptation are a constant necessity. The reason why it is usually not wise to change the objective during a campaign is that to switch armed forces, and resources, from one emphasis, to another, usually involves the loss of momentum for the offensive. The vast majority of the time, any delay in the fighting, no matter how insignificant, favours the defender, as he will have shorter lines of communication, while the attacker is constantly stretching his farther. As such, it is often the case that an army that is on the brink of being crushed, has time to recuperate while the erstwhile attacker slowly abates his strength in the pursuit of illusive gains. Two examples include the Egyptian Army during the Yom Kippur War and the German Army during the 1942 campaign in Russia. In the first instance the objective of the Egyptians was to gain the east side of the Suez Canal and hold it against Israeli attack until a cease-fire was declared. During the first days of the war the Egyptians indeed managed to secure the east bank of the Canal and throw back several Israeli attacks. It is very likely that had the Egyptians stayed on the defensive they would have been able to hold onto their gains until a cease-fire was declared. However, Anwar Sadat, for political reasons, ordered the Army to advance upon the Sinai passes to relieve the Syrian Army that was being pummelled on the Golan Heights. The Egyptian Generals, knowing they would be vulnerable to the Israeli Air force, and armour, once they were beyond the range of their Anti-Aircraft, and Anti-Tank, defences pleaded with Sadat to change his mind. He did not, with the result that the Egyptian armoured forces were smashed, and the Israelis regained the initiative for the rest of the war. In the second case the German Army, heavily dependant on oil, planned on conquering the Caucausus oil fields of southern Russia. Initially the offensive went well, and the Germans advanced quickly towards their objective. However, Adolf Hitler, tempted by the prospect of seizing Stalingrad, decided to split his advancing forces between the city, and the oilfields, the result being that the dispersed forces were too weak to take either objective. Whether or not the Germans could have conquered the oil fields, or even Stalingrad, had they concentrated all forces on one of them is debatable, but it is certain they had no chance of taking both at the same time. Having lived in an era heavily influenced by Frederick the Great, and Napoleon, it is no surprise that Clausewitz put a lot of emphasis on military leadership. 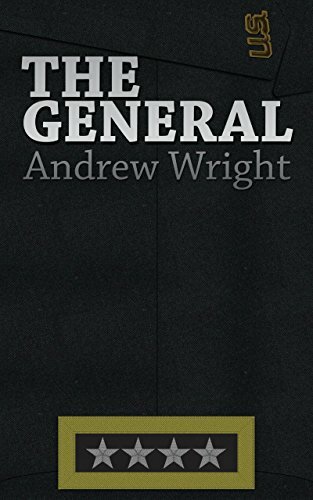 He described some of his opinions on the ideal qualities on leadership when he wrote that “if we then ask what sort of mind is likeliest to display the qualities of military genius . . . it is the inquiring rather than the creative mind, the comprehensive rather than the specialized approach, the calm rather than the excitable head.” According to these conflicting qualities Clausewitz implies a commander who seeks answers, focuses on the bigger picture, and maintains his composure is preferable to one who dreams up unrealistic plans, gets bogged down in details, and is easily overwhelmed by events. If anything, for Clausewitz’s military genius “two qualities are indispensable: first, an intellect that, even in the darkest hour, retains some glimmerings of the inner light which leads to truth; and second, the courage to follow this faint light wherever it may lead.” The first seems to imply the necessary knowledge one needs to command; ideally a sound grasp of military theory combined with actual combat experience. The second would be perseverance and optimism; two vastly underestimated traits that are necessary in the chaos that is war. It is significant that not only does he note the physical exhaustion of the enemy, but his moral resistance as well. This is realistic considering that most wars, even desperate ones, are not fought until the utter destruction of either side, but until one of the combatants sues for peace. In the case of the inferior combatant, attrition is used in the hope that either the enemy will give up, or some external development will turn the war in its favour, like the entry into the conflict of a friendly power. In the case of the strong combatant, attrition is an assured, if costly, means of winning the war in the long term. Attrition is not only normal; it is perhaps more frequently used than manoeuvre. List any great war during the past few centuries and you will find examples in abundance. In the time of Frederick the Great for every masterpiece like Rossbach, and Leuthen, there were countless slaughters like Zorndorf, and Torgau. During the age of Napoleon, slaughters like Borodino were as common as manoeuvres like Austerlitz. World War 1, without a doubt, was the ultimate example of attritional warfare. World War 2, synonymous with mobile warfare, had no shortage of attrition in campaigns like Italy, Stalingrad, and Normandy. The Korean War, with its dramatic advances and retreats during the first year, became a war of attrition during the last two years. The American strategy during the first part of the Vietnam war, the emphasis on search and destroy missions and body counts, was a manifestation of attrition. Finally, the Gulf War, with its smart bombs, and 100-hour land campaign, was preceded by more than a month of mostly one-way attrition against the Iraqi Army. Yet, despite Clausewitz’s brilliance, there are parts of “On War” that are not so impressive. Some of his ideas, especially regarding tactics, are dated. This of course, is inevitable. Another point is that he never had a chance to complete, let alone revise his work. However, even though it is likely no one will ever write a more comprehensive, or realistic, book on warfare, the fact remains that Clausewitz’s work has a few flaws. One of Clausewitz’s more dated theories is on the reliability of intelligence. He more or less dismisses it saying, “Many intelligence reports in war are contradictory; even more are false, and most are uncertain. … In short, most intelligence is false.” This is completely sensible if we consider the relatively primitive communications during his time. However, in modern warfare, advanced communications and intelligence gathering capabilities can give armies distinct advantages. This is seen by the indisputable advantage the American army has that allows them to engage in network-centric warfare. Put simply, the vast amount of satellites, reconnaissance, Internet, and other communications assets gives American soldiers quick, and relatively accurate, information in real time. However, such reliance on technology is not without risk. While it is easy to track, pin, and defeat, a standing army in the field, it is relatively difficult to do the same with terrorists and insurgents. Standing armies are hard to hide and are meant to directly engage the enemy, whereas insurgents, and terrorists, are purposefully elusive, and attack via indirect means. This was demonstrated amply by the Iraq war; while the Americans destroyed Saddam’s Army with relative ease, it took several years to effectively pacify Iraq. Another potential pitfall is the increasing risk of cyber-warfare. Being overly dependant upon electronics, America’s enemy’s may be tempted to attack her in cyber-space rather than risk a direct engagement they would probably lose. Even though America probably has the greatest potential to engage in cyber-warfare, and while many doomsday visions described by cyber-warfare experts seem far-fetched, there have been several examples of its potential power. The 2007 cyber-attack on Estonia, supposedly initiated by the Russians, nearly brought the country’s government to a stand still. There are also rumours that an Israeli kill switch inside the Syrian air defence system facilitated the attack on the supposed nuclear facility in Syria by the Israeli Air force in the same year. The Russians made use of Cyber Warfare during their brief war with Georgia in 2008, hacking government websites and infrastructure. Finally, there is much speculation that the Stuxnet worm was designed by the Americans, or the Israelis, to target Iran’s Nuclear Program, especially the Nuclear Reactor at Bushehr. Yet arguably, the greatest threat to useful intelligence may still be the preconceptions of policy makers. This is when policy makers, whether politicians, or senior military personnel, either pressure intelligence officers to produce Intel that confirms what they already believe, or simply distrust any information that is inconvenient to their goals. History is full of such instances, from Stalin ignoring the most obvious signs Germany was about to attack Russia in 1941, the Israeli intelligence failure to predict the Yom Kippur War, and the American refusal to adequately check the validity of information on Weapons of Mass Destruction in Iraq before the invasion in 2003. When one sees all the potential limits of intelligence during the Modern era, one wonders whether or not Clausewitz may have been right all along. If there is any flaw with “On War” it could be that it is very long. This could be inevitable considering the comprehensive approach he was taking, but the fact remains that compared to most texts on strategy Clausewitz’s work is a long read indeed. There is a chance that had he lived he would have cut it down, but it is more likely the book would be even longer considering his plans to add extra materials. While this consideration may seem superficial it should be remembered that soldiers, who actually fight wars, tend not to read as much as intellectuals, who generally do not to make great commanders. For this reason it has been said, “Clausewitz is quoted but not read.” It could be argued that, at least in the case of the U.S. Army, Jomini has had more influence. However, to be fair many military colleges and institutions do make Clausewitz required reading. …This is how great nations come to ruin. 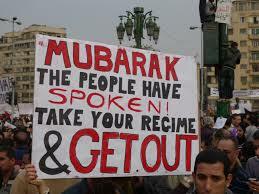 Following in the wake of recent developments in Tunisia there are now massive protests in Egypt. At first the numbers were small and easily dismissed by the government, but since the Muslim Brotherhood has gotten involved their ranks have swelled. While there is no reason, so far, to suggest that Mubarak’s regime is in imminent danger, it is likely the Muslim Brotherhood would fill any vacuum its demise would create. Unfortunately, even though Mubarak’s reign, with its corruption and oppression, is hardly an ideal one, there is no guarantee that a new government under the Muslim Brotherhood would be any better. Historically, and especially in the Middle East, when an authoritarian regime is toppled it is rare that a new government becomes democratic, let alone enlightened. Egypt itself serves as an example; when Nasser and his officers overthrew the British puppet regime in the ‘50s all promises of economic development and freedom were eventually put aside to be replaced by a de-facto police state. 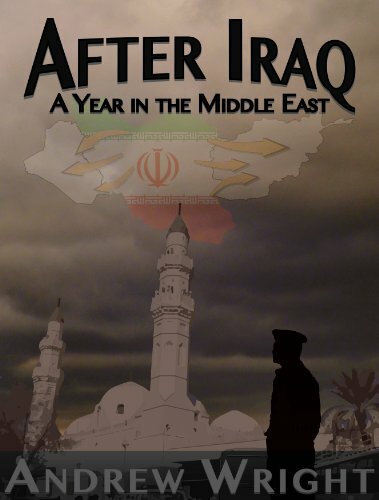 Ba’athist revolutions in Syria, and Iraq, Colonel Gaddafi rise to power in Libya, and the Iranian Revolution all had the same effect; the new rulers ended up being just as bad, and often worse, than their predecessors. Given this poor track record, it is hard to think the Muslim Brotherhood would be the exception. Many would point out that most of the revolutions in the Middle East were by Arab Nationalists, and Socialists, rather than Islamists such as the Muslim Brotherhood; the argument being that the former regimes become inherently corrupt while the Islamists usually have the support of the people. This argument is false. While the best-known Islamic Revolution, the Iranian Revolution, was popular at first, most Iranians currently long for more political freedom and economic opportunity. It should be noted that other experiments in Islamic governments in the region are not known for their successes: Saudi Arabia is more oppressive to its people than Syria, or Iran, and Hezbollah’s inclusion in the Lebanese government has not led to more peace or stability for the country. I am not arguing that there is anything inherently wrong with Islam, only that mixing fundamentalist religious doctrine and state power is a poor combination; Christian regimes in the west have a similarly bad record. One reason to fear a Muslim Brotherhood regime in Egypt is the history of the organization itself. One of its earlier members, Sayyid Qutb, laid down the doctrine for modern day Jihad and heavily influenced Osama bin Laden and other Islamic terrorists, many of whom were members of the Muslim Brotherhood itself. Like Al-Qaeda, the Brotherhood has the stated goal of re-establishing the Caliphate, and has a typical hateful view towards Jews, Christians, and the West. It is hard to see how such a government could maintain a positive relationship with Israel and the Western World. Some would argue that if the United States tried engaging such a regime, rather than ostracizing it, that they would be able to find common ground. Unfortunately history has shown otherwise. Despite popular perception, the United States has tried engaging such regimes, and the common result is failure. After the Shah was overthrown by the Ayatollah in Iran, the U.S. initially made an effort to live with the new regime. However, the theocrats in Tehran, realizing much of their legitimacy rested with fuelling hatred against the Jews and the West, stormed the U.S. embassy and cut off relations with Israel, which had been a former ally. Other notable examples in the region include the regrettable support the Americans gave to Saddam Hussein, and futile efforts to engage Syria. Even in the case of Cuba, the Americans initially tried to win over Castro. It was only after Castro nationalized U.S. interests in Cuba unilaterally that the Americans imposed the embargo. There are those who would point to the fact that the Muslim Brotherhood in Egypt has renounced violence and has committed itself to coming to power through political means. Even if it were true, and it is not universally accepted, that the Brotherhood renounced violence, that does not mean they would remain peaceful if they came to power. It is normal for such movements to discard violence when they are weak, but the vast majority of them have no qualms about using violence once they come to power. Usually it starts out small, attacking former elites, but then escalates against new rivals, and then finally against anyone who seems to be a threat. The P.L.O, Hamas, the Ayatollah, all of whom have one time or another claimed to renounce violence, have never shied away from violence when it has suited them. What would happen to the Middle East in the event the Muslim Brotherhood came to power in Egypt? Maybe it would succeed where every other movements has failed and bring democracy and economic prosperity to the Egyptians, and maintain positive relations with Israel and the West. There are precedents where this has happened, at least initially. The U.S. supported Nasser at first, and the Israelis believed they could work with him, until pressure from the Arab world and the Palestinians forced him to sever relations and fight them. This would be the likely result of the Muslim Brotherhood’s accession to power. Even if they seriously wanted to maintain good relations with Israel and the West, pressure from the Arab masses, as well as the likely continuation of economic stagnation would force the Brotherhood to turn against the “Jews and the Capitalists.” The only question is to what degree? Would they adopt the usual position of most countries in the region that merely pay lip service to fighting for the Palestinians and the honour of the Muslim world, or would they actively seem to undermine Israel and the U.S, like Syria, and Iran. Most of the passive countries tacitly back Washington because they are either too weak, or dependent upon American aid. Egypt is by far the most powerful Arab country. It should be remembered that Egypt held Iran’s current position of causing the most trouble for the Americans and Israelis in the region for nearly thirty years until Anwar Sadat realized the horrific price it cost his nation and made peace. His reward for saving his country from further conflict was universal scorn, and ultimately assassination by militants. His fate has not been lost on the other despots in the region. However, while Egypt is strong, she is also to some extent dependent upon considerable American aid. While Washington would probably be tempted to end the aid if the Brotherhood came to power this would probably be a mistake. This considerable aid averages between 1 and 2 billion U.S. dollars a year, and, not surprisingly, is only surpassed by the amount given to Israel. This money would probably be the only significant bargaining chip the Americans would have with the new regime. Unfortunately this alone does not guarantee that the Muslim Brotherhood would remain our friends. Like Cuba after the embargo, and Iran (who had been another significant recipient of U.S. aid) after the Shah, Egypt could find other donors with deep pockets, including oil rich Iran, or possibly even the Russians or Chinese. Either way it is possible the Egyptian populace, or at least Arab public opinion, would demand an end to U.S. aid to prevent the Muslim Brotherhood from looking like another American puppet in the region. All this points to the likelihood that a new government in Egypt would turn its back on its alliance with America, and its relatively peaceful relationship with Israel. But once again we have to ask to what degree would the Brotherhood oppose them? While it is reasonable to suggest that they would be relatively restrained at first, focusing on cementing their rule, once this has been achieved there is no way to tell. It is possible they would remain content with passive lip service to the Palestinian cause and other sore points. Most likely after a period of stabilization, the new government in Egypt would back Syria, and Iran’s goals of ridding western influence, destroying Israel, and dominating the region. Initially Egypt would focus on supporting Hamas, Hezbollah, and other terrorist organizations fighting Israel, and the U.S. A conventional war with Israel would be unlikely (given the poor record of Egypt’s Army against the I.D.F. ), though not an impossibility; many conflicts in the region have begun when one or more sides have miscalculated. If Egypt closed the Suez Canal or the straits of Tiran to Israeli shipping, it could provoke Israel into war, is it did in 1967. The consequences of Egypt joining the rogue countries of the Middle East would re-draw the balance of power in the region. Israel would once again be confronted by the nightmare of potentially fighting a two front war, many of the moderate regimes would find themselves isolated, and the U.S. would have to consider diverting significant forces, perhaps a carrier group, to the Eastern Mediterranean to deter Egypt. Needless to say terrorists and other rogue nations would get a tremendous boost to their morale and probably increase their destructive efforts. Ironically any move towards a satisfactory arrangement between the Palestinians and the Israelis would similarly be quashed. Israel would return her focus on security, and the Arabs would demand no compromises now that the balance had shifted in their favour. This is what is at stake. Either Mubarak’s regime survives, along with the balance of power, or the Muslim Brotherhood comes to power and increases the likelihood of conflict and violence in the region. In an ideal situation Mubarak would slowly pave the way to legitimate democracy, or at least relative prosperity, but this is very unlikely. Maybe his successor would prove to be more open to real reform but only time will tell. Unfortunately the alternative is potentially much worse. There is simply no compelling evidence, historical or modern, to suggest the Muslim Brotherhood would be democratic, peaceful, or enlightened rulers. For the Egyptians, it is a no win situation.